Smithsonian Institution Series, 1934 Smithsonian Institution Series, 1934 375 pps. plus 99 (mostly) B/W plates. Some color plates. 1 sepia-toned engraving. Deckled edges (uncut?) A few unopened pages. Text clean, tight and unmarked. Excellentinterior. Gold-embossed red leatherette cover - VG, except for lightly faded spine . Hard Cover. Very Good/No Jacket. 6 5/8" X 9.5".. Hardcover. Very Good/No Jacket. Smithsonian Institution Series, 1934 Smithsonian Institution Series, 1934 375 pps. plus 99 (mostly) B/W plates. Some color plates. 1 sepia-toned engraving. Deckled edges (uncut?) A few unopened pages. Text clean, tight and unmarked. Excellent interior. Gold-embossed red leatherette cover - VG, except for lightly faded spine with scuffing on edges. Hard Cover. Very Good/No Jacket. 8vo - over 7¾" - 9¾" tall.. Hardcover. Very Good/No Jacket. London 1904: Yale University Press, 1979 London 1904: Yale University Press, 1979 275 pp with B&W and color illustrations throughout text. By far the largest of many British stone circles, the multiple circles and earthworks of Avebury stands on the Marlborough Downs, eighteen miles from Stonehenge. This complex of prehistoric remains with its many associated tombs and relics has long fascinated archeologists. Audrey Burl carefully sifts the archeological and historical evidence available about the monuments and their builders to present a comprehensive picture of the life of the primitive communities who erected these massive structures nearly 5000 years ago. Text is clean, tight and unmarked. DJ is clean, bright, undamaged with only slight bumping to spine ends. In mylar jacket. 4to - over 9¾" - 12" tall. 1st Edition. Hard Cover. Near Fine/Very Good. 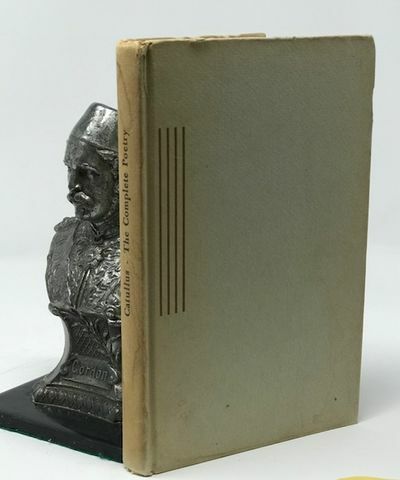 4to - over 9¾" - 12" tall.. 1st Edition.. Hardcover. Near Fine/Very Good. Dust jacket present. First Edition. Anne Arbor: University of Michigan Press, 1957 A new translation with an intrduction by Frank O. Copley, Clean and tight with modest yellowing within. Binding is nicked and spine is quite yellowed. 8vo - over 7¾" - 9¾" tall Size: 8vo - over 7¾" - 9¾" tall. First Edition.. Hard Cover. Good/No Jacket. First Edition. 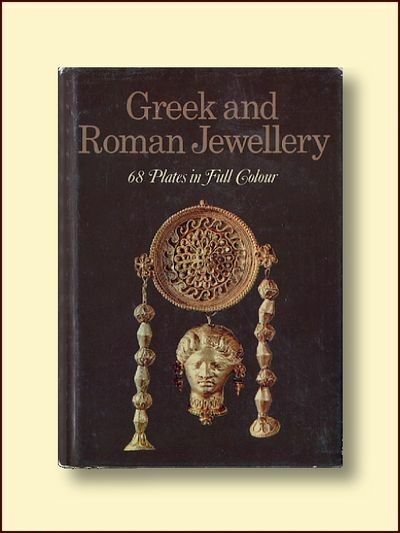 England: Hamlyn, 1970 England: Hamlyn, 1970 156 pp with 68 color plates. text is clean, tight and unmarked save for a previous owner's name on front endpapers and front page edges. Dust jacket is shelf worn with a small chip missing at top of spine. In mylar wrapper. Small 8 Vo. Hardcover. Good/Good. Small 8 Vo.. Hardcover. Good/Good. Dust jacket present. New Jersey: Rutgers University Press, 1957 366 pp with index and extensive bibliographical notes. Translated from the french by Naomi Walford, with introduction and bibliography by Peter Charanis, professor of History, Rutgers University. With forty B&W illustrations. Covers the Bysantine Empire from Justinian (518 - 565) to the Palaeologi (1261 - 1453.) text is clean, tight and unmarked. Red buckram boards are VG+, really no flaws - just the passage of time. 8vo - over 7¾" - 9¾" tall Size: 8vo - over 7¾" - 9¾" tall. Hard Cover. Very Good/No Jacket. New York: Thames & Hudson, 1987 New York: Thames & Hudson, 1987 288 pp with126 B&W maps, photographs and reconstruction drawings. . Text is clean, tight and unmarked as are blue cloth boards. DJ is clean, bright and undamaged. In mylar jacket. 8vo - over 7¾" - 9¾" tall. Hardcover. As New/As New. 8vo - over 7¾" - 9¾" tall.. Hardcover. As New/As New. Dust jacket present. London 1904: Routledge and Kegan, 1956 London 1904: Routledge and Kegan, 1956 text is clean, tight and unmarked save for a small spot on the front edge that does not extend into the text. Dark red boards are in good shape for their age. Slightly bumped. Spine is cracked but tight. Hard Cover. Fair/No Jacket.. Hardcover. Fair/No Jacket. UK: Montvert Publications, 1996 72 pps. plus 8 full-color plates. B/W illustrations throughout. Text is clean, tight and unmarked. Covers are clean and bright, spine slightly yellowed.. 1st Edition. Large Format Softcover. Very Good. Illus. by Mcbride, Angus. 7.25" x 10.5". First Edition. 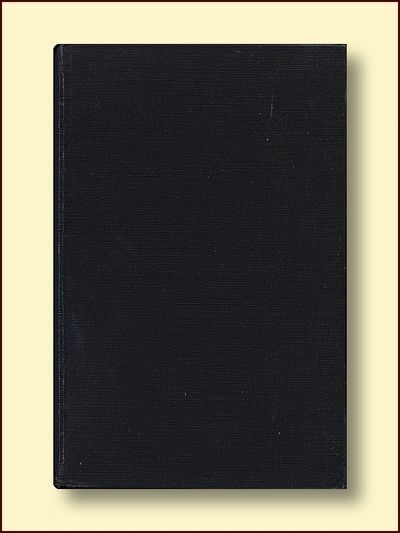 Great Britain: Penguin Pelican Book, 1955 280 pp with bibliography and index. 32 B&W plates. 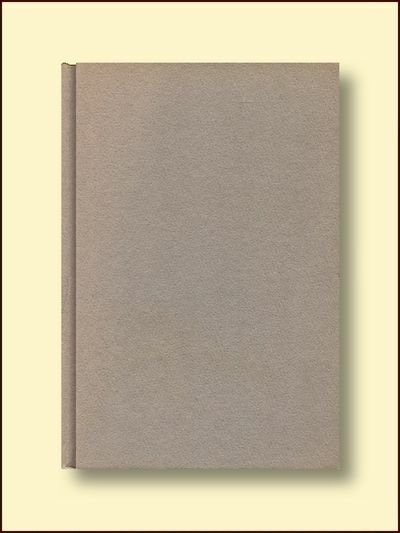 Clean, tight, unmarked save a price on title page, pages yellowed. Cover is scuffed, spine yellowed.. Trade Paperback. Very Good/No Jacket as Published. Dust jacket present. New York: Philosophical Library, 1955 128 pp. with 20 B&W plates. A short history of archeology by the Curator-in-Chief of the French National Museums. Text is clean, tight and unmarked. Grey paper boards are clean but with a spot of discoloration. Size: 16mo - over 5¾" - 6¾" tall. First American Edition.. Hardcover. Good/No Jacket. First Edition. New York: Philosophical Library, 1955 128 pp. with 20 B&W plates. A short history of archeology by the Curator-in-Chief of the French National Museums. Text is clean, tight and unmarked. Grey paper boards are clean and undamaged. 16mo - over 5¾" - 6¾" tall Size: 16mo - over 5¾" - 6¾" tall. Second Edition.. Hardcover. Very Good/No Jacket. Frederick Praeger, 1965 245 pp with 16 B&W plates. The sources and uses of stone and smelted metal for building, utensil and weapon making in the European and Middle Eastern ancient world. Text is clean, tight and unmarked. Black cloth boards have light soil and corner rubbing. 8vo - over 7¾" - 9¾" tall Size: 8vo - over 7¾" - 9¾" tall. Cloth. Very Good/No Jacket. 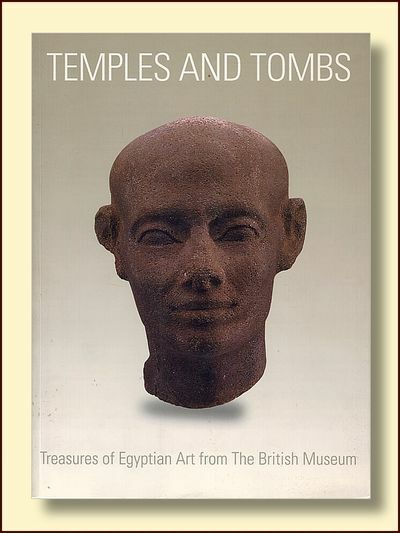 University of Washington Press, 2006 Published in conjunction with Temples and Tombs: Treasures of Egyptian Art from the British Museum, an exhibition organized by the American Federation of Arts and the British Museum which toured the United States 2006 thru 2008. color and B&W illustrations throughout. Text is clean, tight and unmarked with an almost imperceptable moisture ripple to the bottom corner of the last few pages. Covers ae pristine.. Large Format Soft Cover. Very Good. Ithaca, NY: Cornell University Press, 1980 336 pp . Text is clean, tight, unmarked, slightly moisture rippled. Faint moisture stain on on title page, doesn't extend into text. Covers are clean, intact, scuffed.. First Thus.. Trade Paperback. Fair. First Edition. Seabury Press, 1977 Seabury Press, 1977 125 pp. 45 B&W and 14 color illustrations. Text is clean, tight and unmarked. Library stamp on flyleaf and pocket has been removed from endpapers. Good + jacket has a mylar cover. 8vo - over 7¾" - 9¾" tall. First American Edition. Hard Cover. Good/Good. 8vo - over 7¾" - 9¾" tall. Ex-Library.. First American Edition.. Hardcover. Good/Good. Dust jacket present. First Edition.